From a look at the new Star Trek franchise to the relics from the real life space race, you can find it here. We also look at five things to consider when writing a novella. 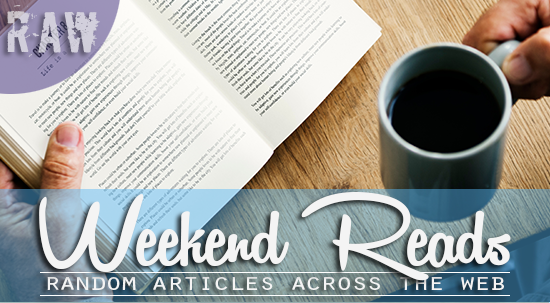 Some good stuff and I hope that you enjoy reading these articles this weekend with your favourite beverage. I've bought myself a copy of Children of Time by Adrian Tchaikovsky to read over the weekend. What are you reading this weekend? I'd love to know. Let us discuss a new Star Trek that people have to pay for instead of watching for free. One in which the Klingons have been completely redesigned, one in which the technology looks completely different from what we would expect, as do the uniforms—all without a word of explanation. One in which one of the main characters has to reconcile human and Vulcan values. And one in which the production was fraught with behind-the-scenes difficulties. Tucked into a lonely hangar at Baikonur Cosmodrome on the Kazakh steppe, two Soviet-era space shuttles are quietly gathering dust, bird poop, and rust. They’re also attracting photographers eager to sneak around the ruins, such as Alexandar Kaunas, who recently filmed part of his journey into the cavern where the derelict shuttles are housed. A novella sits somewhere between the short story and the novel — too long to be a short, too short to be a novel. You might ask how long it is, and depending on who you ask you’ll get a different answer. If you’re measuring word count, the novella comes in at between twenty thousand and forty thousand words, but there are those who say it can be up to sixty thousand words too.